Nine students helped at a build site in Kentucky during spring break. 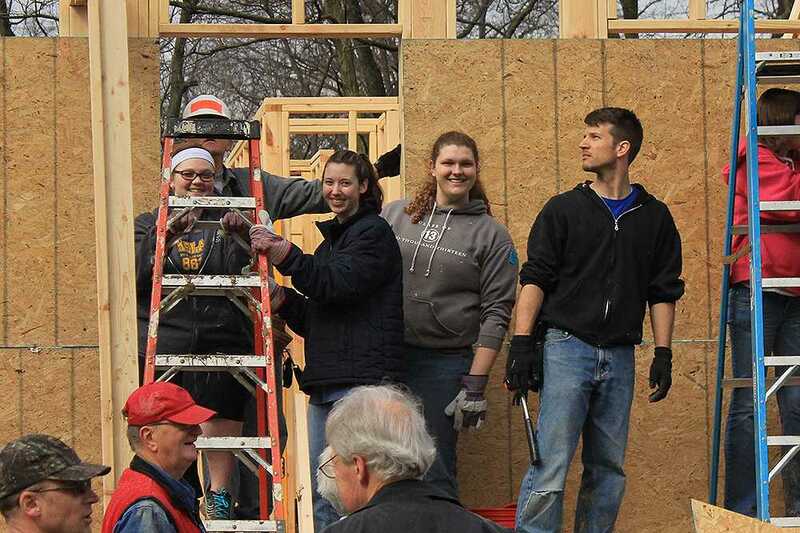 Lakeland’s Habitat for Humanity club is making a comeback this semester. With a new advisor ready to start fresh and club members excited to volunteer, the chapter plans to provide more volunteer opportunities to students and staff. The Habitat group is now under the advisory of Rob Sizemore, campus chaplain and assistant professor of religion. Sizemore and other officers hope to reach out and help out locally. Lakeland’s chapter started in the early 90s, but stopped at the end of the decade until 2007 when it was started back up. The group’s most popular event is their annual spring break trip to volunteer out of the state. The location is determined by where the group is interested in going. Some places have include New Orleans; Branson, Mo. and Chapel Hill, N.C. This year, the group volunteered at several homes in Louisville, Ky.
All students are welcome to join the group, even if you cannot go on the trip.